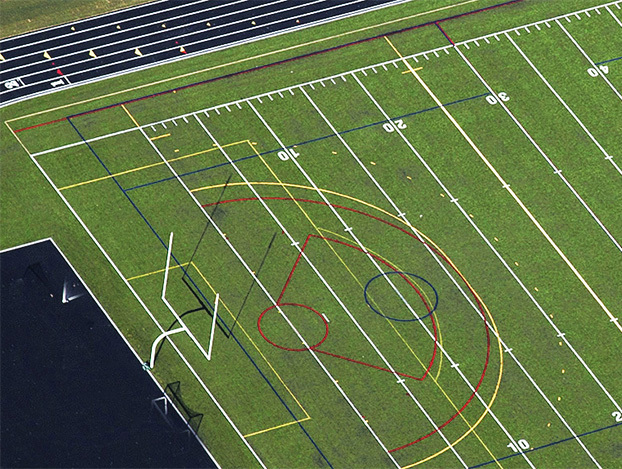 When installing your football field, why not include lines for all your sports. We can install as many boundaries as you want. Football, soccer, lacrosse, field hockey, etc.